The word “aomori” means blue or green forest, and the city was named by fishermen who used its small forest on a hill as a landmark. 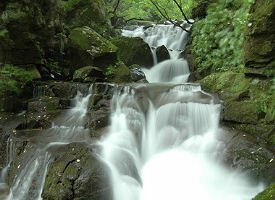 The major attractions in Aomori include several museums and an aquarium. Soak in the Japanese culture, take a ferry ride along the Seikan Tunnel or relax in Asamushi Onsen, a hot springs resort in the city.